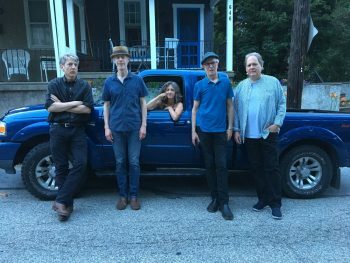 The group’s fans will also be able to purchase the new album at the merch table when the band plays a special area show at the Mermaid Inn (7673 Germantown Avenue, Philadelphia, 215-247-9797, www.themermaidinn.net) on October 26. 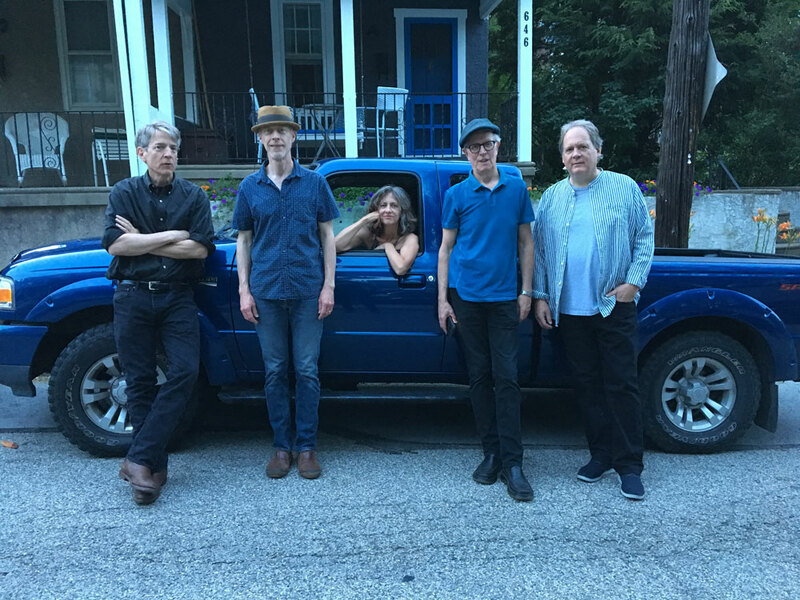 “The HumblemanBand was formed in 1999,” said guitarist/songwriter/vocalist/founding member Charlie Cooper, during a phone interview Wednesday from his home in Germantown. “I was in a band with our drummer Buck Buchanan. Three of us were living near each other in South Philly and we gradually picked up people. “The third guy was bassist Bruce Koch, who just died a year ago from a massive heart attack. That was a real loss – as a friend and as a bandmate. We weren’t sure we were going to pick up the pieces. We were using hired hands to fill in. We just recently added a permanent bass player – Boz Heinly, who lives in Plymouth Meeting. 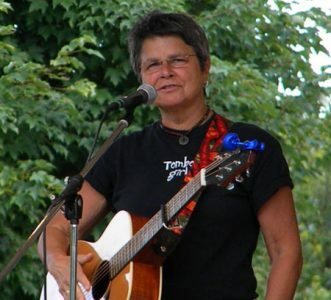 The band’s current lineup includes Wain Ballard on guitar, Kim Empson on vocals and percussion, Heinly on bass, Buchanan on drums and Cooper on vocals and guitar. “We seem to have a cycle of putting out an album every five years,” said Cooper. “We put out an album a few years ago called ‘Least Bad of Humbleman 1984-2009.’ That album was a 25-year compilation starting with our days in 1984 as a punk band called The Proles. REAPER is a complete digital audio production application for computers, offering a full multitrack audio and MIDI recording, editing, processing, mixing and mastering toolset. “We spent most of this year making the new album,” said Cooper. “After finishing recording it ourselves, we sent it out for the mixing. We had Scoops Dardaris do it. We were extremely happy with the mixing. “We mastered it at Rittenhouse Soundworks in Germantown. That’s also were we’re doing our record release show. It’s mainly a studio but it also has a performance space. HumblemanBand, a rock quintet that is socially conscious, features songs that band members have written and arranged – songs with lyrics inspired by current events. “On ‘Beautiful Day,’ Kim wrote two songs, we did two covers and I wrote the rest. The two covers were songs by the late Gil Scott-Heron – ‘Lady Day and John Coltrane’ and ‘Alien.’ Gil Scott-Heron was a very influential voice in music and activism and most-known for his song ‘The Revolution Will Not Be Televised’ and his poetry. HumblemanBand, like Scott-Heron, has consistently delivered social commentary and positive messages, often with humor and a light touch, using spoken word lyrics, and generally delivered with dance beat arrangement. His influence upon the band has been strong. Video link for the HumblemanBand — https://youtu.be/uDk9751ZLd0. The HumblemanBand show at the Mermaid Inn will start at 9 p.m. on October 26. Tickets are priced at $8. On November 10, HumblemanBand will host a record release party at Rittenhouse Soundworks at 7:30 p.m. Admission is $10. When it comes to Harry Potter-themed parties, Wizard Fest is one of the best. On October 28, the Theatre of the Living Arts (334 South Street, Philadelphia, 215-222-1011, http://www.lnphilly.com) will host “Harry Potter Party Philadelphia: Wizard Fest!” — the Philly edition of Wizard Fest, a popular event that is visiting 40 cities including Nashville, Chicago, New Orleans, Minneapolis, Memphis, New York, and Washington, D.C.
After seven world changing books, eight whimsical movies, and a spellbinding Broadway play, muggles still find themselves yearning for ways to bring the magic to life. Now, owls are arriving across the country, inviting you to leave your cupboard under the stairs and spend a night at Wizard Fest. Fans of all things magic, witches, sorcerers and the half-blood prince will need to make a special trip to Alley for a fresh pair of dress robes because Wizard Fest is flying into town. “This is our second year for the project,” said Wizard Fest creator John Damiano, during a recent phone interview. “It came about because I’ve been in bands and I’ve booked a lot of bands and meet-and-greets for YouTube celebrities. I’ve wanted to do branded parties for a while. Initially, I wanted to do Nintendo. “Then, I came up with Harry Potter and magic. I realized that it was more interesting than Nintendo. Harry Potter has helped make magic cool. People who were into Harry Potter when they were young are now college age and going out drinking. “By that point, we figured out ways to make a better party,” said Damiano. “I knew I wanted to do something again. I teamed up with a couple new friends and decided to do it bigger and better. The evening includes Harry Potter themed trivia, drink specials (i.e. Butterbeer, Fire Whisky, Polyjuice Potion, and Unicorn Blood for the diabolical), magicians, music, dancing,and cosplay. The best dressed will also have a chance to enter into the costume contest for cash and prizes. Additionally, for any Keepers or Seekers out there, there will be a special Quidditch Pong Tournament, also with a reward of cash and prizes. Video link for Wizard Fest — https://youtu.be/ypnkVfwUUaM. “Harry Potter Party Philadelphia: Wizard Fest!” at the Theatre of the Living Arts will start at 8 p.m. on October 28. Ticket prices start at $25. Other upcoming shows at the TLA are G Herbo with special guests Southside & Queen Key on October 25, Jade Cicada and Detox Unit: Studio Tan Tour on October 26, The Dead Milkmen on October 27, Lecrae & Andy Mineo – Better Late Than Never Tour on October 30, and Stick To Your Guns and Emmure on October 31. The Philadelphia Folklore Project has something special scheduled for October 28. 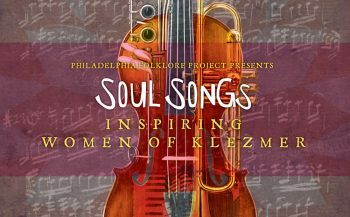 Late afternoon on Sunday, the PFP will present “Soul Songs: Inspiring Women of Klezmer” at the Annenberg Center for the Performing Arts (3680 Walnut Street, Philadelphia, 215-898-3900, www.annenbergcenter.org). In a World Premiere, one-night-only special event, 12 extraordinary women will be breathing contemporary life into the centuries-old tradition of Eastern European Jewish folk music. The brainchild of fourth generation klezmer musician and concert artistic director Susan Watts, “Soul Songs: Inspiring Women of Klezmer” was created from the world-renowned trumpeter’s concern for the future of her art and appreciation of every individual involved. Watts represents the youngest generation of an important klezmer dynasty reaching back to the Jewish Ukraine of the 19th century, and beginning with her great-grandfather, bandleader, composer, and cornet-player, Joseph Hoffman. The Hoffman family played for generations of Philadelphia-area Jewish weddings and parties, and their music became part of a distinctly Philadelphia klezmer repertoire. Watts is the sole living purveyor of the family’s traditional klezmer-style trumpet sounds, which have electrified Jewish American audiences in and around Philadelphia for decades. “I’m a fourth-generation klezmer player,” said Watts, during a recent phone interview from her home in Ardmore. “I graduated from Haverford High, did my undergraduate studies at St. Louis Conservatory of Music and Temple University and just got my master’s degree from Bryn Mawr College. “I was raised in a family of klezmer musicians. It was the music of our family. When I was young, I didn’t know ‘klezmer’ – I just thought of it as Jewish music. “My mother was a drummer – a great musician. My grandfather played drums, piano and xylophone. My sister played bassoon and clarinet. It was Eastern European Jewish folk music – and, yes, it was klezmer. Last year, Watts’ mother Elaine Hoffman Watts was still playing drums in live performances of klezmer music. The mother-daughter team was planning to co-anchor the Annenberg concert but, unfortunately, Elaine Hoffman Watts passed away just over a year ago. Klezmer is a Hebrew word, a combination of the words “kley” (vessel) and “zemer” (melody) that referred to musical instruments in ancient times. It became colloquially attached to Jewish folk musicians sometime in the Middle Ages. While “klezmer” referred originally only to instrumental music played by clarinets, violins, basses and tsimbaloms (hammer dulcimers), it has come to mean Yiddish vocal music as well, encompassing both folk songs and music from the Yiddish theater, which thrived in the early 20th century in both Warsaw and New York. When Jewish immigrants came to America, they brought this style with them, but quickly they adapted it to American tastes and instrumentation. The result has been a very organic fusion of everything from Russian dances, Chassidic drinking songs and Hungarian gypsy bravado, blended with Dixieland, and early jazz and swing. “The Philadelphia Folklore Project came to me and said the Pew Foundation has a project grant,” said Watts, a 2015 Pew Fellow. “They wanted to apply for it and asked me if I had a project. Watts quickly got the project underway. 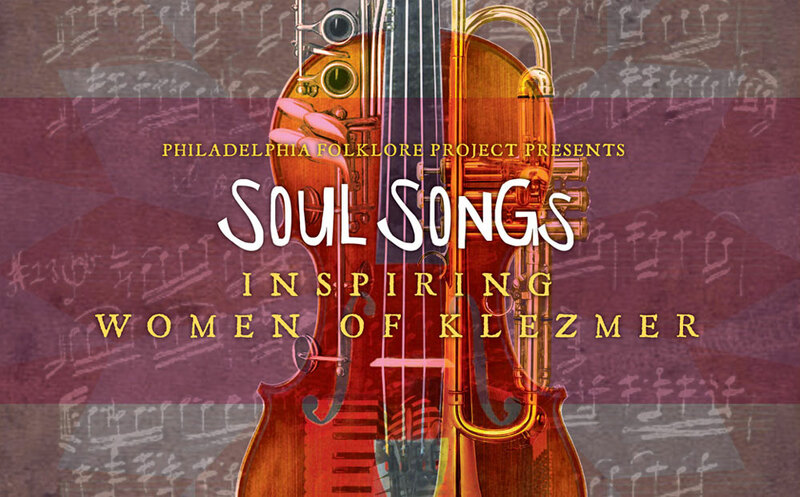 “Soul Songs: Inspiring Women of Klezmer” will feature new compositions, written and performed by three generations of women who bring contemporary meaning to this traditional Eastern European Jewish folk music form. Watts has assembled a stellar group of “Inspiring Women of Klezmer,” including violinists Alicia Svigals, Cookie Segelstein and Deborah Strauss, pianist Marilyn Lerner, clarinetists Zoe Christiansen and Ilene Stahl, trombonist Rachel Lemisch, accordionist Lauren Brody, flute player Adrianne Greenbaum and bassist Joanna Sternberg. Each artist’s work brings a distinct approach to innovating within the recognizable framework of the centuries-old genre — connecting folk elements of Baroque music to klezmer, for example, integrating Northern Bulgarian music, or using texts that reflect on female experience. “I made my dream list of women I wanted,” said Watts. “We wrote a lot of original compositions. This concert is all original compositions. “What we had to do – we had to study what’s there already, when it was played, where it was played – we had to learn centuries-old klezmer inside-and out. Video link for “Soul Songs: Inspiring Women of Klezmer” — https://youtu.be/8bEbZouvw9A. The October 28 show at the Annenberg Center, which is made possible with support from The Pew Center for Arts & Heritage, will start at 4 p.m. Tickets are $29 and $49. 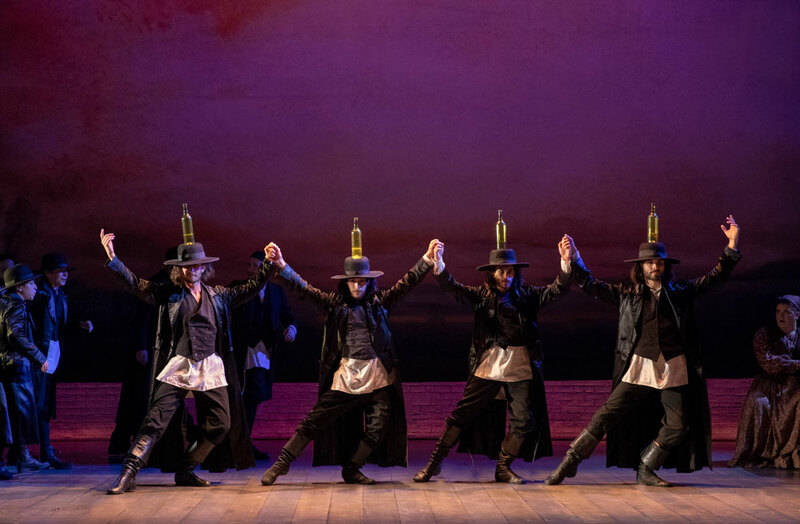 The influence of klezmer music can also be heard in the hit Broadway musical “Fiddler on the Roof,” which is running now through October 28 at the Academy of Music at the Academy of Music Academy of Music (Broad and Locust streets, Philadelphia, 215-731-3333, www.kimmelcenter.org). The show is about Jewish people, but it really is a universal story about families. It’s a very timeless, identifiable story no matter what religion people are. 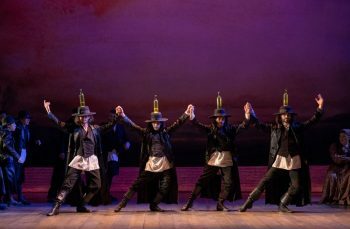 The show features a talented cast, lavish orchestra and stunning movement and dance from Israeli choreographer Hofesh Shechter and is based on the original staging by Jerome Robbins. The musical, which is based on Sholom Aleichem’s short story “Tevye’s Daughters,” is set in 1905 in Anatevka, a small Ukrainian Jewish village in Russia. It tells the story of Tevye, his wife Golde and three of their daughters — Tzeitel, Hodel and Chava. It is about Tevye, a poor milkman, and his struggle to preserve family values and traditions in a world where persecution and poverty have taken over. It tells the story of Tevye’s attempts to maintain his family and Jewish religious traditions during challenging times. His three older daughters are headstrong and willing to challenge tradition with their choices of husbands — Tzeitel with a poor young man from the village, Hodel with an idealistic freedom fighter and Chava with a Russian soldier. The show ran for a record-setting total of 3,242 performances and was the first musical theater run in history to surpass 3,000 performances. In 1965, “Fiddler on the Roof” captured nine Tony Awards and was the winner of the 1965 New York Drama Critic Award for Best Musical. Over the years, the play has had numerous national tours and runs in New York — and was also turned into a movie. Four actors have become permanently identified with the role of Tevye — Zero Mostel, Herschel Bernardi, Topol and Theodore Bikel. Even though the show has been around for more than a half-century, it surprisingly is still topical — still in line with things going on in the world in 2014. With all the spousal abuse cases making headlines these days, more attention is being focused on women’s rights. In the show, Tzeitel, Hodel and Chava were fighting in their own way for women’s rights at the start of the 20th century. Video link for “Fiddler on the Roof” — https://youtu.be/iL09UjQD4lA. The show at the Academy of Music will run now through October 28. Tickets prices range from $25-$139. Another top-flight theater production that is running now through October 28 is taking place in downtown West Chester. The Resident Theatre Company is presenting “Evita,” Andrew Lloyd Webber and Tim Rice’s Tony-Award winning musical, at the Uptown! Knauer Performing Arts Center (226 North High Street, West Chester, www.rtcwc.org). The musical focuses on the journey of Eva Peron that started with her early days as an ambitious 16-year-old girl who longed for an acting career, fame, and fortune. It follows Peron as she became the most powerful woman in Latin America — winning the love of her countrymen and making more than a few enemies along the way. “Evita” is directed by award-winning Broadway veteran and RTC’s Founding Artistic Director Kristin McLaughlin Mitchell, whose work on Broadway’s “Lend Me a Tenor” was called “Genius” and “True comic delirium” by the New York Times. Aline Mayagoitia joins the RTC stage as Evita, the famed First Lady of Argentina. Mayagoitia is a bilingual native of Mexico who will star opposite Michael Yeshion, as the rising political force, President Juan Perón. Robert Zelaya plays the part of Ché, the young well-known revolutionary who narrates the rise and fall of the beloved matriarch of the Argentinian people. The role of Magaldi, the singer and dancer who first brought Eva Peron to Buenos Aires is played by Pasqualino Beltempo. Juan Peron’s mistress, noted only by that name, is played by Philadelphia actress Phoebe Gavula. The cast is completed by an ensemble of nine professional actors. Nicole Calabrese, Anna Ferrigno, Dana Orange, Angel Sigala, Imanol Fuentes, and Daxx Wieser. They are joined on stage by three teenage actors, all natives of Chester County, Bailey Denmark, Cassidy Lennick, and Veronica Garrubbo. The Resident Theatre Company has put together an award-winning design team to bring this production to life, including set designer Brian Dudkiewicz; lighting designer Ethan Olsen; costume designer Kayla Speedy; props designer Angela Kozinski; and sound designer Ryk Lewis. Dann Dunn is the choreographer and Gina Giachero is the music director. “Evita” is running now through October 28 at the Uptown! Knauer Performing Arts Center in West Chester. Ticket prices range from $25-$53. Mitchell, RTC’s Founding Artistic Director, also directed RTC’s opening production of “Monty Python’s Spamalot” last spring and earned RTC its first four Barrymore Award nominations. Now, another production of the side-splitting musical is running this week at a theater in Delaware. Monty Python, a zany group of British comedians, made being silly not only an art form but also a source of great financial success. 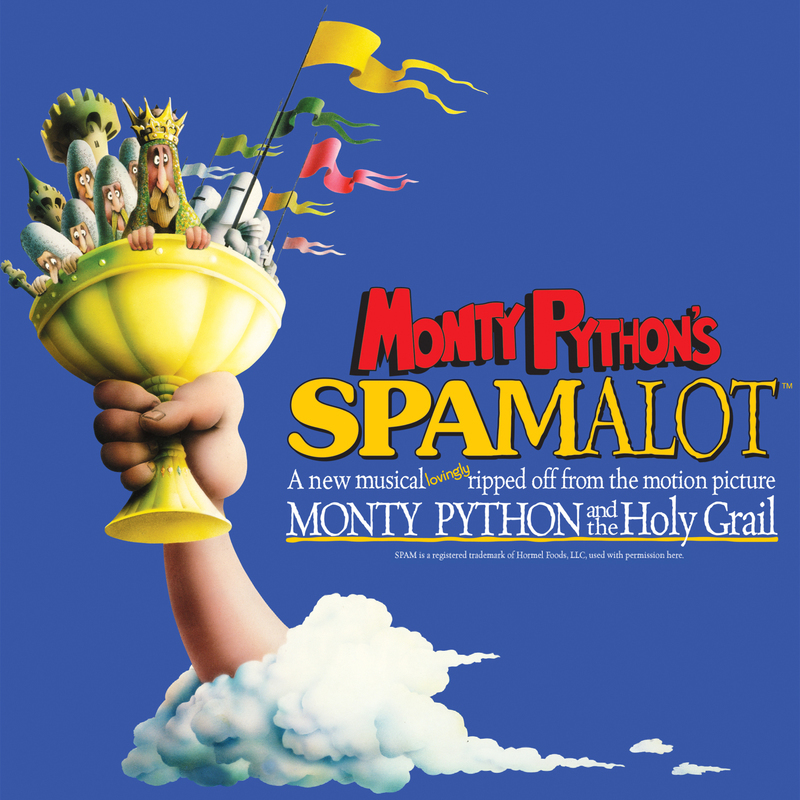 Monty Python’s commercial empire includes record albums (including a three-sided single album), television series, videos, books, CDs, movies – and a hit Broadway musical called “Monty Python’s Spamalot”. The National Tour’s cast features Steve McCoy (King Arthur), Leslie Jackson, (The Lady of the Lake), Adam Grabau (Sir Lancelot, The French Taunter, King Ni, Tim the Enchanter), Kasidy Devlin (Sir Robin, Guard 1, Brother May) and Troy Bruchwalski (Sir Dennis Galahad, The Black Knight, Prince Herbert’s Father). The lively comedy was the winner of three Tony Awards in 2005, including Best Musical and Best Direction of a Musical, and the 2006 Grammy Award for Best Musical Show Album. The Broadway success spawned a national tour – actually, a succession of National Tours. “Monty Python’s Spamalot” features a book by former Monty Python member Eric Idle and music and lyrics by the Grammy Award-winning team of Idle and John Du Prez. The outrageous musical farce tells the tale of King Arthur and his Knights of the Round Table as they embark on their quest for the Holy Grail. Most audience members will know to be on the lookout for flying cows, killer rabbits and taunting Frenchmen. Video link for “Spamalot” – https://youtu.be/zgPtq4k6Psc. The show at The Playhouse on Rodney Square will run from October 25-28. Ticket prices range from $40-$90. There is another option for live theater in northern Delaware this week – and also a show that closes its run this wekeend. The Candlelight Theatre (2208 Millers Road, Arden, Delaware, 302-475-2313, www.candlelighttheatredelaware.org) is offering area fans the opportunity to see a rarely-presented musical theater classic. The dinner theater’s production of “Brigadoon” is running now through October 28. “Brigadoon” is a well-loved Broadway musical that had its debut on the Great White Way in March 1947 at the Ziegfeld Theatre, where it ran for 581 performances. Songs from the musical, such as “Almost Like Being in Love,” have become standards. The story involves two American tourists who stumble upon Brigadoon, a mysterious Scottish village that appears for only one day every 100 years. The main characters are the tourists – Tommy Albright and Jeff Douglas – and Fiona MacLaren, a beautiful lass from the village. Tommy and Jeff, a pair of New Yorkers, have travelled to the Scottish Highlands on vacation and get lost on their first night out. They begin to hear music coming from a nearby village that does not appear on their map of the area. They head over to the source of the music and are greeted by villagers dressed in traditional Scottish tartan. Andrew MacLaren and his daughters arrive at the fair to purchase supplies for younger daughter Jean’s wedding to Charlie Dalrymple. After a short while, the two friends learn the story of Brigadoon – a story that starts with an event that took place two centuries in the past. In an effort to protect Brigadoon from being changed by the outside world, the local minister prayed to God 200 years ago to have Brigadoon disappear, only to reappear for one day every 100 years. All citizens of Brigadoon are forbidden to leave the town, or it will disappear forever. Not surprisingly, Tommy falls in love with a girl from Brigadoon and the story begins to get complicated. Video link for “Brigadoon” — https://youtu.be/JKRIFbnO2MQ. Performances at the Candlelight Theatre this weekend are Friday and Saturday evening (doors 6 p.m./show, 8 p.m.) and Sunday afternoon (doors, 1 p.m./show, 3 p.m.). Tickets, which include dinner and show, are $63 for adults and $33 for children (ages 4-12). The Philadelphia Theatre Company is kicking off its 2018-2019 season with the Pennsylvania premiere of Lynn Nottage’s “Sweat.” This Pulitzer Prize for Drama winner explores Reading, Pennsylvania’s shrinking industrial economy and shares the fear, tragedy and hopefulness of a community on the verge of inevitable change. The production will kick-off the first produced season under new Producing Artistic Director Paige Price. Justin Emeka makes his Philadelphia debut directing a cast filled with local stars and Barrymore Award winners who have extensive theatre, film and television credits. “Sweat” is running now through November 4 at Philadelphia Theatre Company’s stage at the Suzanne Roberts Theatre (480 South Broad Street, Philadelphia, 215-985-0420, philatheatreco.org). Based on Lynn Nottage’s extensive research in Reading, “Sweat” is both a Pennsylvania story and a national story. The play highlights a valley town filled with fiercely-proud families who have worked for generations in the plants and factories of a thriving county seat. Unions rule, well-paying jobs are coveted, and politics are personal. As industries disappear, the men and women of Reading are rendered powerless as they watch their income, legacy and relationships follow suit. “Sweat” unearths brutally honest consequences but also dares to ask how a community can heal and resurrect itself. Nottage began work on “Sweat” in 2011 when she interviewed residents of Reading, the county seat of nearby Berks County. At the time, Reading was officially deemed the poorest city in America with a poverty rate of over 40 per cent. “Sweat” made its world premiere at the Oregon Shakespeare Festival in 2015, before being produced Off-Broadway in 2016. The show went on to Broadway in 2017 and won the 2017 Pulitzer Prize for Drama. It was also nominated for two 2017 Drama Desk Awards for Outstanding Play and Outstanding Fight Choreography. “Sweat” received three 2017 Tony Award nominations — Best Play and Best Performance by an Actress in a Featured Role in a Play for both Johanna Day and Michelle Wilson. “Sweat” is running now through November 4 at the Suzanne Roberts Theatre. Tickets range from $25-$69. Kennett Flash (102 Sycamore Alley, Kennett Square, 484-732-8295, http://www.kennettflash.org) will have Tret Fure and Anna Crusis Women’s Choir on October 26, Andrew Bedell Collective and Julie Hall on October 27, and The Rocky Horror Picture Show on October 28. The Steel City Coffee House (203 Bridge Street, Phoenixville, 610-933-4043, www.steelcitycoffeehouse.com) will host The 2018 Halloween Show with the Steel City House Band on October 27 and Affinity Colabs Story & Poetry Slam on October 28. The Colonial Theatre (Bridge Street, Phoenixville, 610- 917-1228, www.thecolonialtheatre.com) will present Gaelic Storm on October 25. The Ardmore Music Hall (23 East Lancaster Avenue, Ardmore, 610-649-8389, www.ardmoremusic.com) will present Lee “Scratch” Perry and Solomonic Sound System on October 25, PhillyBloco on October 26, She Wants Revenge with special guest Mykki Blanco on October 27, Michael Jackson for Kids on Octoer 28, and Jazz is Phish on October 31. The Locks at Sona (4417 Main Street, Manayunk, 484- 273-0481, sonapub.com) will have Chris Kasper on October 26, The Fred Eaglesmith Show Starring Tif Ginn on October 27, and Lazer Lloyd with special guest Souls on Fire on October 29. Burlap & Bean Coffeehouse (204 South Newtown Street Road, Newtown Square, 484-427-4547, www.burlapandbean.com) will present Carolann Solebello and Joe Iadanza on October 26, Better Ducks with Steve Liberace on October 27, and Kittel & Co with Alfred James Band and Mark Schultz and Wayne Rangers on October 29. The Keswick Theater (291 N. Keswick Avenue, Glenside, 215-572-7650, www.keswicktheatre.com) presents Mystic Science on October 26, Raffi on October 27, James Van Praagh on October 28 and The Rocky Picture Horror Show on October 30. The Sellersville Theater (24 West Temple Avenue, Sellersville, 215-257-5808, www.st94.com) hosts Jim Messina on October 25, Ivy Hill Therapeutic Equestrian Center Presents: Tunes, Laughs & Whinnies on October 26, Sonny Landreth along with Greg Sover Band on October 27, Alfio on October 28 (matinee), and Enter the Haggis on October 28. The Grand Opera House (818 North Market Street, Wilmington, Delaware, 302-652-5577, www.thegrandwilmington.org) will present The Dirty Dozen Brass Band, Ivan Neville, Ian Neville, George Porter Jr, Big Chief Monk Boudreaux, Lost Bayou Ramblers Duo, 79rs Gang, and Terence Higgins on October 26, and “The Second City Made in America Tour” on October 27. The Queen (500 North Market Street, Wilmington, 202-730-3331, www.thequeenwilmington.com) will host Sonny Landreth on October 26, John Hiatt on October 27 and UB40 on October 28. Rrazz Room (6426 Lower York Road, New Hope, 888-596-1027, www.TheRrazzRoom.com) will present Frederick Mann White “Journey To The Past” on October 26 and “The Kinsey Sicks: Things You Shouldn’t Say” on October 27.